Introducing Another Game Changer From DDLab! 6″x18″ Framed Pano’s only $8! If you have been trying to figure out a new way to sell extra panoramics to your teams we have just released the solution! and then add a Black or Cherry Frame for only $6 each! Log into your ROES account and order your samples to show your teams today and get extra sales on photo day! New Preschool Designs Are Here! We are excited to unveil our new designs for preschools that will be available for you through ddlab this year! These designs are great for your preschools and daycare photo shoots! Get with ddlab today and find out why so many people are benefiting with the ddlab advantage! You have read all the emails, you have received your sample kits, or maybe you just haven’t had time to take a look at what ddlab has been up to lately…..well, if you are in San Antonio this week stop by our booth #938 and visit with us and see what all the talk is about! We hope to spend time with you at the show! We are excited to unveil our new designs from Spotlight Photographics that are not available as full team and individual collections in our catalog for 2017! Our designs don’t stop with your memory mate; they go all the way through the entire product line so your graphics match through the whole collection that you offer your customers. In some cases, the designs even match the uniform colors of the teams! This is just another example of what makes ddlab the right choice for your business in 2017! Introducing Another Game Changer From DDLab! 6″ x 18″ Framed Pano’s only $8! Full Service Banners Designed for only $4! 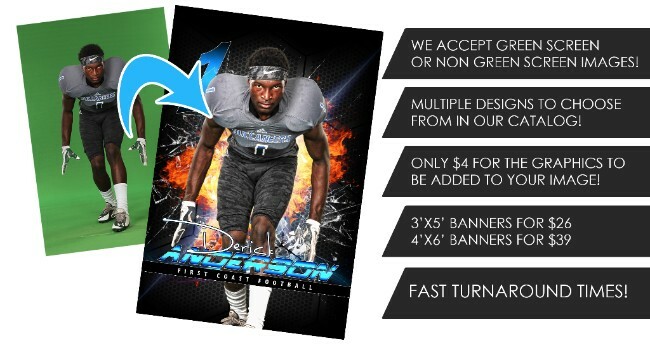 Introducing 40 New Designs & $4 Full Service Banner Production Special! We will extract your images, add them to the template of your choice, print and ship all for an amazing price! Choose your printing option of 3’x5′ for $26 (+$4 for Graphics) or a 4’x6′ for $39 (+$4 for Graphics). Designs Will Color Match Your Player Uniforms! Select designs will be color matched to your players uniform colors. 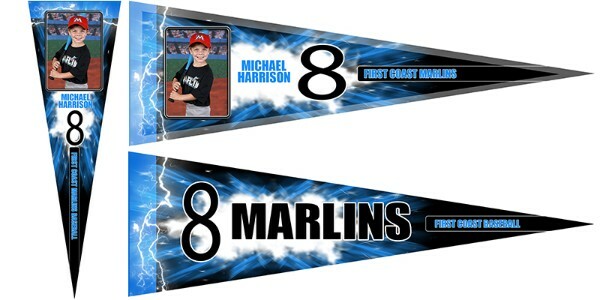 The banner designs also include the player name, team name and uniform number! View The Available Designs Here! Just Need Your Banner Printed? 48 Hour Turnaround Time From DDLab! If you already have your graphics ready to go and you just need an outlet to have your banners printed with high quality vinyl then we have the prices and the turnaround times that will definitely make you happy! 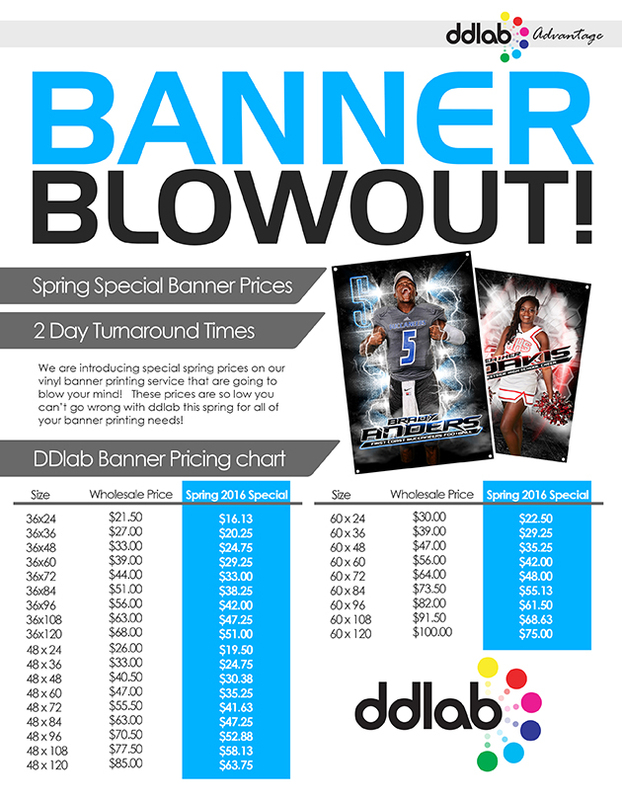 View Our Banner Prices Here! 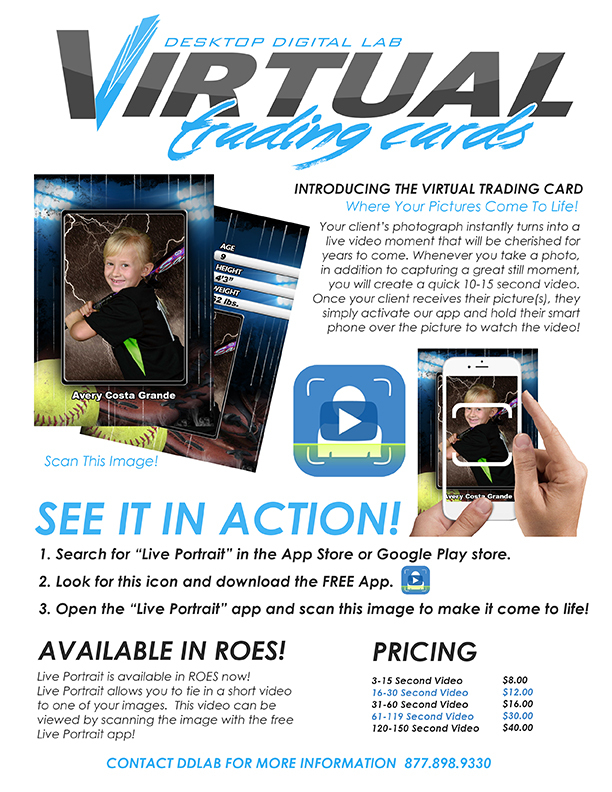 Introducing the Virtual Trading Card….. Where Your Pictures Come to Life! Introducing the NEW Sports Press Book! Another part of the ddlab advantage is our new Sports Press Photo Program Books! Each player is the star of their own Magazine style press book printed with premium quality Kodak professional Endura paper. The front and back covers are printed with a high quality coating giving this book a great look and feel. Get Rid of Commissions to your leagues! The Sports Press books are a powerful marketing tool that will help your leagues raise more money by selling ad space to local retailers and businesses. Use the sports press book as your commission to the league and save money in the process! Increase Sales & Book More Leagues! If you are looking for a product that will separate you from the competition it is the new Sports Press Book program! • Use in conjunction with our new online ordering system OrderMorePix.com to increase your online sales and re-orders. • Impress your leagues and board members by delivering your package prints in a professionally printed magazine format. • Stop paying commissions! Use the additional pages to sell ad space as fundraisers for your leagues. • Increase sales averages by delivering a premium product to your customer. 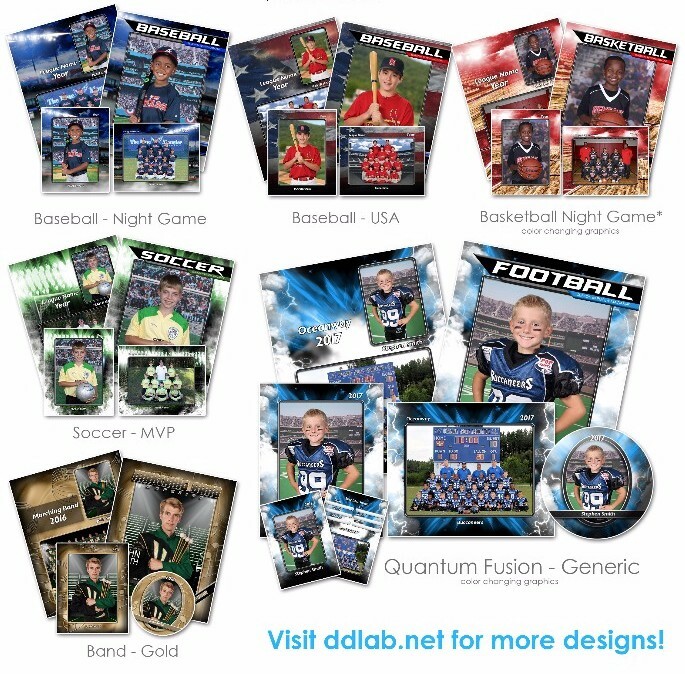 • Parents & league directors will be so impressed you are certain to retain your leagues and get even more referrals for more business from other leagues! Registration is now open for the 2016 Winter Workshop! Don’t miss out on your chance to learn from the best during this two day workshop hosted by ddlab. This will be the most valuable event you can attend this season! Green Screen is now here at ddlab! Using ddlab for your green screen jobs is now another ddlab advantage! Featuring new custom designs from green screen photography that will take your photography to the next level! 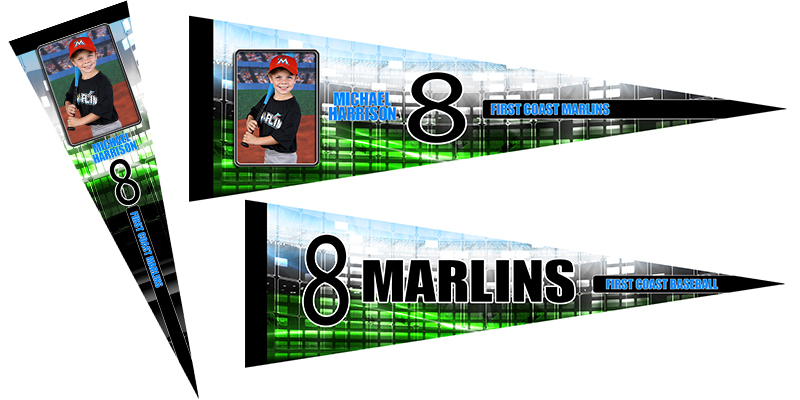 All new designs are color changing to match your team uniform colors or school colors! • Separate yourself from the competition and book more leagues by offering a unique product that your competitors don’t have! 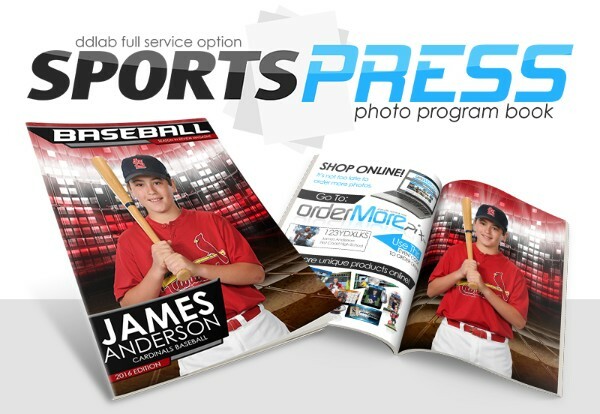 • Be the FIRST in your area to offer the latest and be known as the leader in youth sports photography products & services. 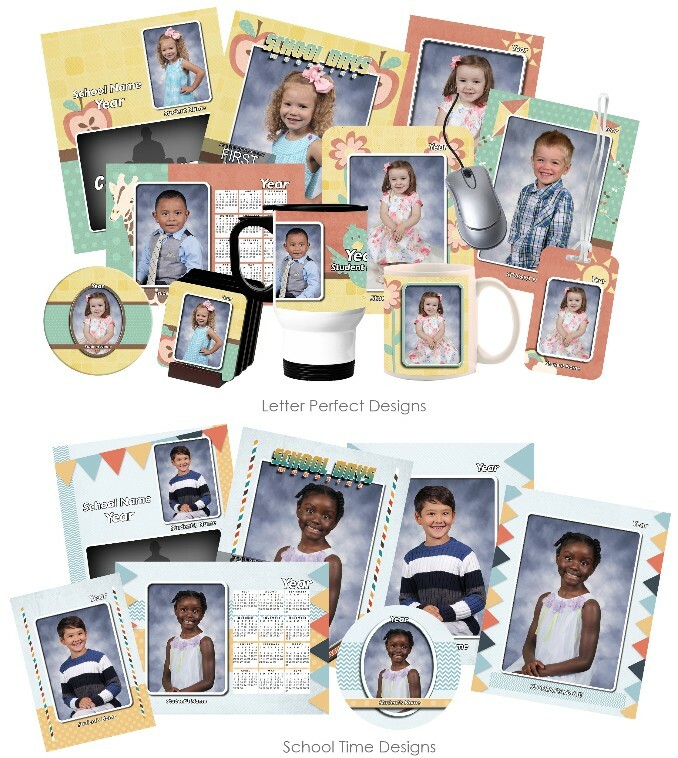 • Offer customers a more exciting product option and unlimited background choices on photo day! • No worries about weather! You can shoot indoors with green screen at any time of the day! • Your photos will stay consistent when you don’t have to worry about changing sunlight during your shoot. 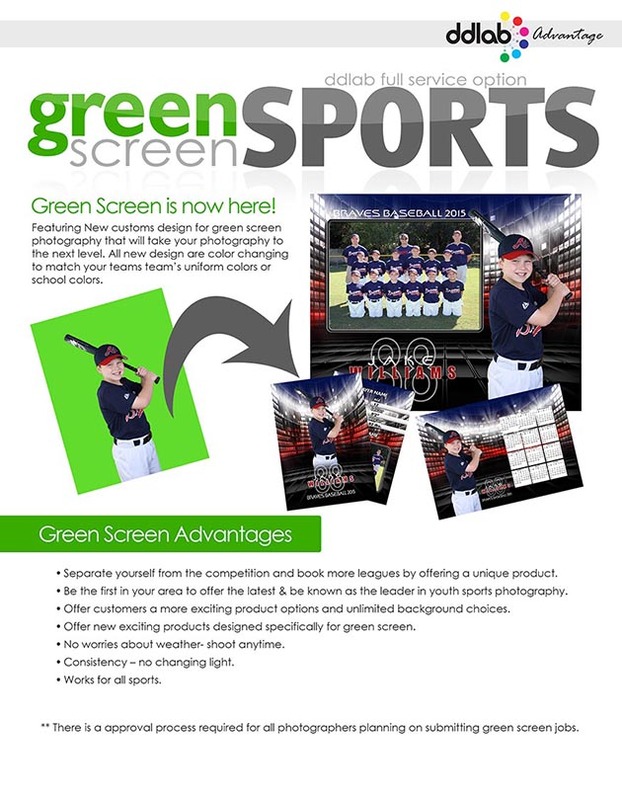 • Green Screen works with any sport! *There is an approval process required for all photographers planning on submitting green screen jobs. Please contact us first before planning on using this program. Thank you for using iFeature 4. We designed iFeature 4 to be as user friendly as possible, but if you do run into trouble we provide a support forum, and precise documentation.